The trio play the Robin 2 in Bilston, near Wolverhampton, on October 26, supported by American singer/ guitarist Jared James Nichols and his band. The shows will showcase highlights from Glenn's career with Trapeze, Deep Purple, Black Country Communion and California Breed, as well as his solo material. "It's always a great pleasure for me to play in the UK. I have lived in Los Angeles most of my life, but my career started back in the UK," says the 62-year-old who was born in Cannock in Staffordshire. "I love my fans and personally interact with them online or at venues on my travels. There is no greater high than performing and to reach out to my fanbase." He adds that he has known Doug Aldrich, who also played in Dio, for some time. "Ronnie James Dio introduced me to Doug years ago and I felt it was time to ask him to rock with me,'' he says. ''It's gonna be epic!" Glenn's early influences were British rock, the Beatles and American Soul and R&B. With Motown and Stax also leaving their mark he created a distinctive vocal and bass guitar style that blended all those elements. Glenn first achieved notable success with Trapeze whose early '70s albums included Medusa, Trapeze and You Are The Music... We're Just The Band. In 1973 he joined Deep Purple following the departure of vocalist Ian Gillan and bass guitarist Roger Glover. Guitarist Ritchie Blackmore, keyboardist Jon Lord and drummer Ian Paice continued with the addition of Hughes and David Coverdale. Glenn left in 1976 and released solo album, Play Me Out, before recording with various bands and artists including Black Sabbath and Gary Moore. 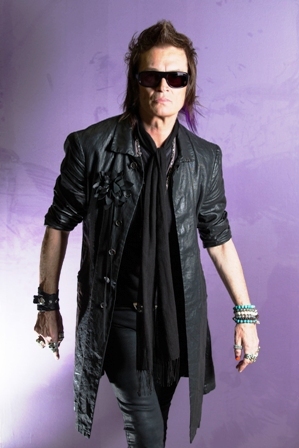 Since 1992, Glenn has toured extensively in Europe, Japan and South America in support of solo albums but more recently has been involved with supergroups Black Country Communion with guitar star Joe Bonamassa, keyboard player Derek Sherinian (Dream Theater) and drummer Jason Bonham, son of the late Led Zeppelin legend John Bonham, and, last year, California Breed, which also featured Jason Bonham along with guitarist Andrew Watt. 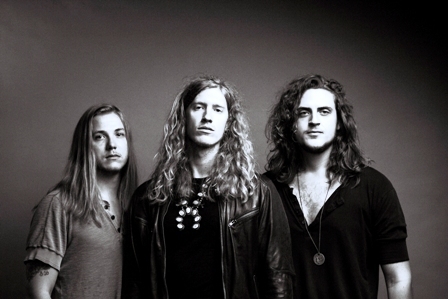 Support for the 2015 tour is Jared James Nichols who recently released his debut album, Old Glory & The Wild Revival. 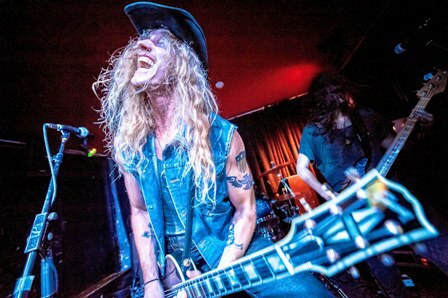 Aged just 25, the Wisconsin-born, Los Angeles-based, singer-songwriter and guitarist has already opened for the likes of ZZ Top and Lynyrd Skynyrd. Skynyrd's guitarist Gary Rossington was so impressed with Jared's playing he invited him on stage to play lead guitar during Sweet Home Alabama. Jared got his first guitar at 14-years-old and within days he was performing. "Two weeks after I got an electric guitar I was on stage with all of these old cats from Chicago playing the blues," he recalls. "The music immediately resonated with me. It was all about the feeling and the soul behind it. None of these guys were music nerds. They were true blues guys playing what they felt. That power and reality struck a chord in me." Soon, he found himself practicing 12 hours a day and ended up sharing the stage with legends including Buddy Guy, Honeyboy Edwards, and Big Jim Johnson as well as opening for Kenny Wayne Shepherd and Derek Trucks. By his 21st birthday, he had logged over 500 gigs. After a short stint at Berklee School of Music in Boston, he headed to Los Angeles where he garnered accolades at the world-renowned Musicians Institute, winning the 2010 Jerry Horton guitar contest, the 2011 Les Paul tribute contest, and the 2011 Outstanding Guitarist award. 2012 saw him release his debut EP, Live at the Viper Room, and in 2013 he teamed up with Aerosmith engineer Warren Huart to begin work on Old Glory & The Wild Revival. "I want people to get excited," he concludes. "I want them to feel like anything is possible in this music. I want them to know great blues rock exists. If I can give someone the same inspiration I was blessed with, then I have done something right." Nov 1: Electric Ballroom, London. Why? 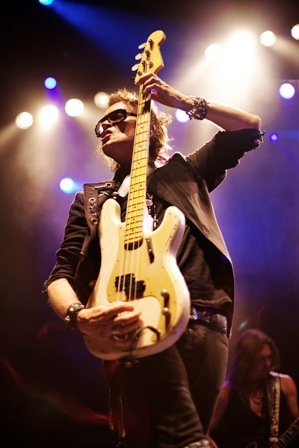 Rock legend Glenn Hughes returns to UK for tour.